Streamlined software using last year's chip. LG is embracing Google's Android One program ... just not in the way you might have expected. It's launching the G7 One, a device that melds the G7 ThinQ's core design with Android One's streamlined app loadout and focus on timely security updates. Don't think of this as a G7 with less bloat, however. While it has the 6.1-inch QHD+ screen, glass body and quad DAC, it's using last year's Snapdragon 835 processor, reverts to a single 16-megapixel rear camera and carries just half the built-in storage at 32GB (still expandable, thankfully). Really, it's an upper-mid-range phone in a flagship's clothing. The company is also using the opportunity to stuff a midrange phone into the G7 family. The G7 Fit (below) again preserves the screen but drops back to an older-still Snapdragon 821 and uses a less-sophisticated 16MP rear camera (f/2.2 aperture instead of the G7 One's brighter f/1.6). Some countries will get a version of the G7 Fit with 64GB of storage, though, and the rest of the design remains intact. LG plans to discuss availability and pricing only on a local basis, so it's not certain when these will be available. 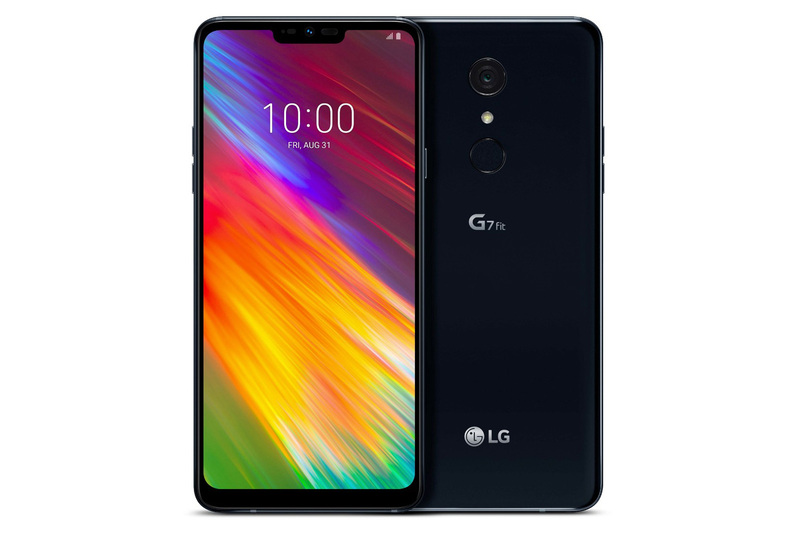 We wouldn't count on them reaching your part of the globe, either: LG is clearly aiming at cost-conscious buyers who want the basic G7 formula, and that's more likely to involve developing countries.